Way back when, I mentioned that I’m getting a new concrete desk. It’s been a long project, but progress continues. 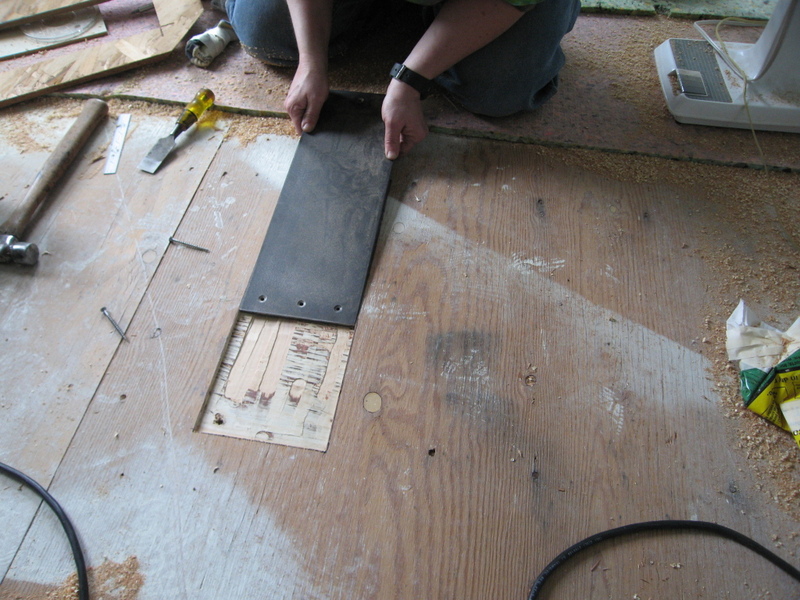 On Saturday, Jacque set reinforcing plates into the office floor. There are two plates, one onder each leg. They are steel, 1/4 inch thick, and long enough to straddle two joists. Here Jacque is test-fitting one of the plates.